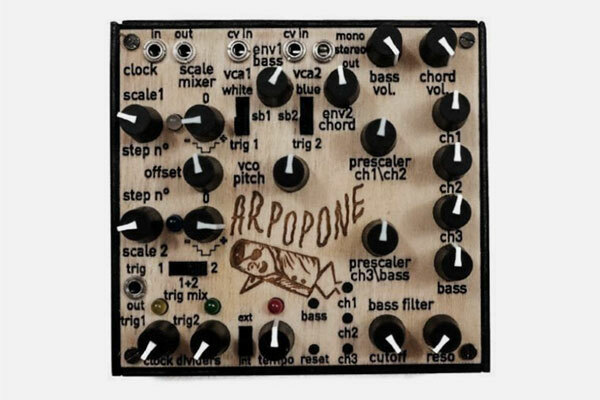 The Arpopone is a little synthesizer for generating a melody or bass line and a chord section at the same time. It is based on analog ramp dividers of which each one generates a voltage ramp starting from a master clock that can be internal or external. The bass channel is passed through a resonant low-pass filter with Cutoff and Resonance control. Two outputs jacks are available: the mono out jack on the back panel and the stereo jack on the front panel, useful for listening with headphones and for separate channel output.